London-based founder of Muttahida Quami Movement (MQM) has been asked to appear before an Anti-Terrorism Court (ATC) of Islamabad hearing a terrorism case against him, according to an advertisement published in newspapers of the United Kingdom on February 8. 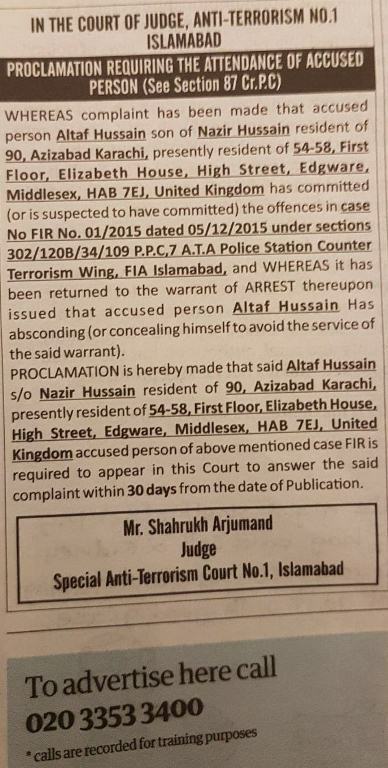 The ad published on behalf of Shahrukh Arjumand, judge of Special Anti-Terrorism Court No-1, Islamabad proclaims the MQM founder as an absconder in the murder case of Imran Farooq, a senior party leader and directs him to appear before the court within 30 days of the publication of this ad. 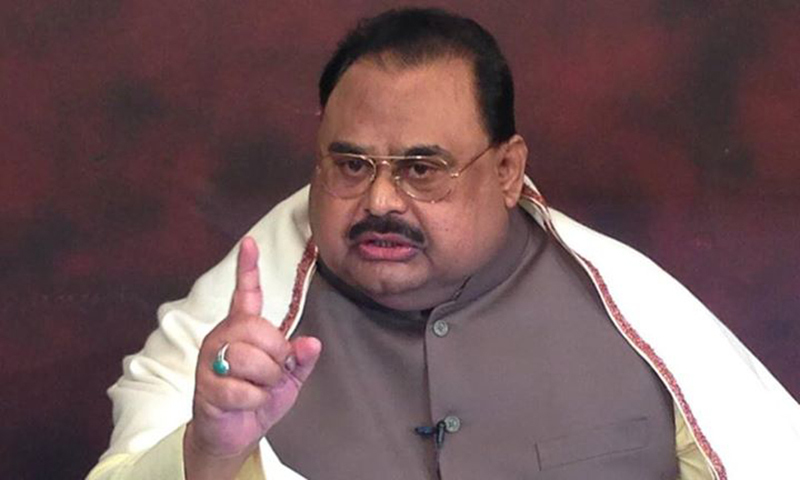 The MQM founder has been asked to appear before the ATC, under section 87 of the Criminal Procedure Code (CrPC) of Pakistan, in the murder case of Dr. Imran Farooq, former senior leader of the MQM, who was assassinated in London in September 2010.